A Court Appointed Special Advocate (CASA)/Guardian ad Litem (GAL) is appointed by a judge to represent the best interests of an abused or neglected child in court. What is the role of the CASA/GAL? A CASA provides a judge with a carefully researched background of the child to help the court make sound decisions about the child’s future. Each case is as unique as the child or children involved. The CASA volunteer must determine if it is in a child’s best interest to stay with his or her parents or guardians, be placed in foster or relative care, or be freed for permanent adoption. The CASA makes recommendations to the judge on placement and services so that every child can have a safe, permanent home and the opportunity to thrive. A MONITOR who ensures that court orders are being followed and all services are provided in a timely manner and who brings to the court’s attention any new developments, changes, or concerns. How does a CASA investigate a case? To prepare a recommendation, the CASA talks with the child, parents, family members, case workers, school personnel, health providers, and others who are knowledgeable about the child’s history. Case workers may work on as many as 10 to 15 cases at a time, which can limit the amount of time available for a comprehensive investigation of each. The CASA is a volunteer who handles only one or two cases at a time. As an independent appointee of the court and a party to the case, the CASA thoroughly examines a child’s case, has knowledge of community resources, and is required to make recommendations to the court based on the best interests of the child. Unlike the caseworker, who has a legal mandate to try to reunify families, the CASA’s mandate is to advocate for the best interests of the child. A trained CASA/GAL and a skilled caseworker are both critical to a successful case. How does the role of a CASA differ from an attorney? The CASA does not provide legal representation; that is the role of the attorney. Instead, the CASA volunteer advocates for the best interests of the child. The CASA provides crucial background information and logical, fact-based recommendations that assist the court in making sound decisions for the child. CASAs come from all walks of life, with a variety of professional, educational, and ethnic backgrounds. Diversity is valued and provides a foundation of strength to our program. The Lucas County CASA program is composed of both male and female volunteers over 21 years of age who may be employed full-time or part-time, be retired, be a volunteer attorney, or be a homemaker. The number varies, but usually each CASA carries one or two cases at a time. The National CASA Association suggests volunteers carry no more than two cases at any given time. CASA volunteers are not assigned but are asked to take a case. CASA volunteers always have the right to turn down a case request. Two different types of interactive training are offered, CASA/GAL trainees undergo a thorough onetime, 40 or 35 hour training. Typically the 40-hour training is scheduled over a four-week period and is a combination of Friday and Saturday day-long plus early evening seminars. The 35-hour training includes self-guided learning over the internet and an evening class each week for six weeks. Volunteers learn about courtroom procedure from the principals in the system: judges, lawyers, caseworkers, court personnel and others. CASA trainees also learn effective advocacy and investigation techniques and are educated about specific topics ranging from child abuse and neglect to domestic violence and parental substance abuse. Information about poverty, cultural awareness and sensitivity are also part of the training curriculum. The culmination of the initial training is the swearing-in ceremony with the Juvenile Court Judges where CASA/GAL volunteers become sworn officers of the Court. How do CASA volunteers relate to the children they represent? CASA volunteers interview the children they represent, if the children are old enough to talk. If not, the CASA observes the baby’s interactions with the various people involved in the baby’s life. The CASA offers the child a trust-based relationship and advocacy, both within and outside the courtroom. The CASA explains to the child the events that are happening and the roles the judge, lawyers, case workers and others play. The CASA also encourages the child to express his or her own opinions, fears, and hopes and conveys those to the court. In addition, the VOICES initiative invites children ages 10 and older to participate in court hearings affecting them. Each case is different. A CASA volunteer spends a minimum of 20-30 hours doing research, conducting interviews, and writing a court report during the first 4-6 weeks of a new case. Once the CASA writes the initial report and appears at the first hearing, the CASA can expect to spend about 2-4 hours per month on a case. The CASA continues on the case until the case is permanently resolved. Each volunteer is asked to make an initial two-year commitment to the program. One of the primary benefits of the CASA program is that, unlike other case principals who often rotate cases, the volunteer is a consistent figure in the court proceedings and the child’s life, providing much needed continuity for the system and, more importantly, for the child. Do other agencies or groups provide the same services? No. Other child advocacy organizations exist, but CASA is the only program in which volunteers are appointed as officers of the court by the judge to represent a child’s best interest. What children are assigned a CASA? Children who are victims of abuse or neglect and for whom cases have been filed in the Juvenile Court are assigned a CASA/GAL. The Domestic Relations Court also appoints GAL for children in divorce proceedings, but they are not trained CASA volunteers. How did the CASA program get started? In 1979 Juvenile Judge Andy Devine heard a presentation by Carmen Ray, the Director of the first CASA program in Seattle, Washington. Judge Devine asked the Junior League of Toledo to investigate the possibility of establishing a program in Lucas County. After four months of research, the Junior League began the CASA program with the first training in November 1980. There were 20 volunteers in the first class. Since that time, the Lucas County Juvenile Court CASA/GAL program has continuously served our community with about 250 CASA volunteers today. How does the CASA program operate now? The CASA program is a department of the Lucas County Juvenile Court. As such, it is funded by the LCJC budget, the Lucas County commissioners and ultimately, your tax dollars. There is also a CASA/Citizen Review Board Volunteer Association that has a tax-exempt status to enable the program to accept grants and donations to enhance volunteer efforts. The Lucas County CASA department and its volunteers are directed by Judy Leb and a staff of twelve. There are CASA programs in 49 states and the District of Columbia. Nationwide more than 85,000 citizens serve as CASA volunteers in nearly 1,000 programs. More than 400,000 children are in foster care on any given day. Every year more than 260,000 abused and neglected children are served by CASA volunteers. Cases involving a CASA volunteer are more likely to be permanently closed. 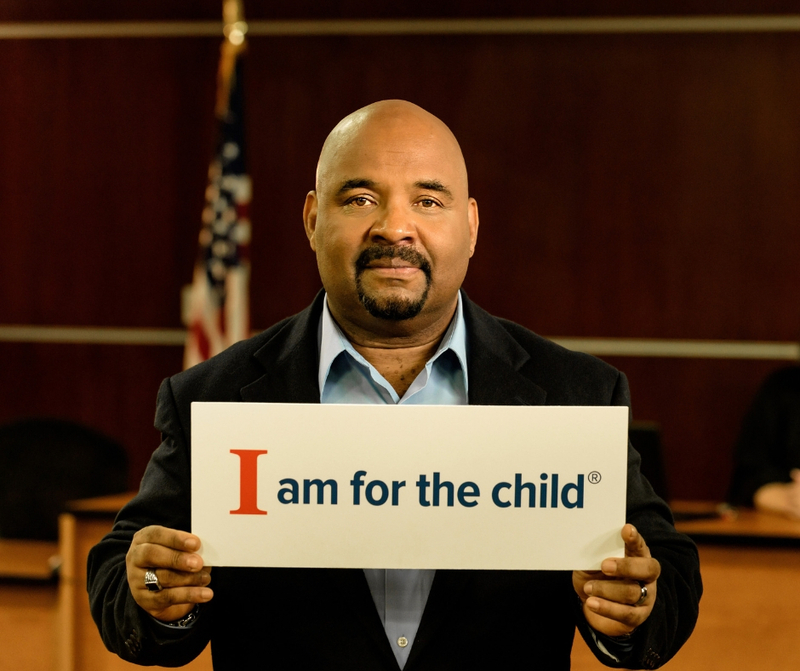 Fewer than 10% of children with a CASA volunteer reenter the foster care system. CASA volunteers spend most of their volunteer time in contact with a child. They generally handle just one or two cases at a time so that they can give each child the sustained, personal attention he or she deserves. To a child, that means a consistent and caring adult presence in his or her life. CASA advocacy saves taxpayer dollars. Yes. Juvenile and family court judges implement the CASA program in their courtrooms and appoint the volunteers. CASA has been endorsed by the American Bar Association, the National Council of Juvenile and Family Court Judges, and the National Association of Public Child Welfare Administrators. CASA is a major project of Kappa Alpha Theta Sorority and Kiwanis. Do the federal, state, and local governments support CASA? Yes. CASA is a priority project of the Department of Justice’s Office of Juvenile Justice and Delinquency Prevention and the State of Ohio Attorney General’s Office. These offices encourage the establishment of new CASA programs, assist established CASA programs, and provide partial funding for the National CASA Association, of which Lucas County CASA is an accredited member. Lucas County CASA is a department of the Lucas County Juvenile Court. What is the role of the Ohio and National CASA Associations? Both the Ohio and National CASA/GAL Associations are non-profit organizations that represent and serve local CASA programs. They provide training, technical assistance, research, legislative awareness, news and public awareness services to Ohio and nationwide CASA programs, respectively.